I'll move onto the male performances in a second, but I want to share a few final thoughts on the ladies. I spent so much time talking about who I thought would be nominated that I didn't really emphasize who I think deserves to win. Again, I haven't seen Kidman or Williams yet, but it looks like the award will probably be between Portman and Bening. I do think Portman is the best when she's at her best, so if she wins, which I'm inclined to think she will, then I won't be upset. However, I agree with the praise that you all have given to Bening. Not only is she wonderfully subtle in The Kids Are All Right, but she's lost twice to Hilary Swank in 1999 and 2005. The good news is that Swank has no chance of winning even if she does get nominated, which is unlikely. Unfortunately, I do think Portman's performance is hefty enough to take the Oscar. Granted, Bening might get some lifetime achievement votes which could put her over the top. I don't usually root for votes of this sort, but because Bening is so good and because Portman will probably win an Oscar in the future, I'll be crossing my fingers for Bening on Oscar night. I also forgot completely about Greta Gerwig, who is a wonderful actress. Again, though, I wonder if voters have forgotten about her as well. I'd think she'd be more appropriate as a supporting actress for Greenberg, and I'd be thrilled if she did sneak in with a nomination. Again, though, I wouldn't put any money on that happening. I also totally agree with you Sean when you mention Rooney Mara. That opening scene is a masterwork in both acting and screenwriting. It sets up the Mark Zuckerberg character in a truly unconventional and brilliant way. I only knew Mara as the surprise choice to play the English language Girl with the Dragon Tattoo. Her performance in The Social Network has me convinced that she'll be great. I'd also like to point out that once again Rebecca Hall is getting no awards buzz for being the best thing in a film--this year being The Town. She was the best part of Starter for 10, Vicky Cristina Barcelona and Please Give. I'm getting annoyed that she's still ignored for her talent. Finally, it's worth noting the performance of Katie Jarvis is a wonderful little film called Fish Tank from January. No chance at all for a nomination, but she's good enough for sure. Now to delve into the male performances of 2010. I haven't yet seen True Grit, but I don't think Bridges will be nominated for it. I think we can count on Colin Firth for The King's Speech, James Franco for 127 Hours and (pretty much) Jesse Eisenberg for The Social Network. I do think Ryan Gosling will be nominated for Blue Valentine also. That leaves the fifth slot open. Robert Duvall in Get Low? 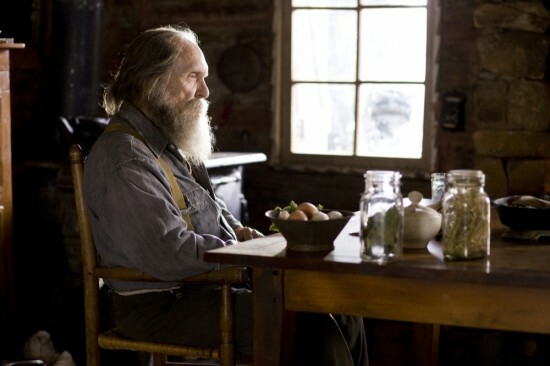 Never ever count out Robert Duvall. I haven't seen it yet, but it's definitely his film. Sure, Bridges is a possibility, but so is Mark Wahlberg for The Fighter. He plays his role pretty quietly, but it's effective and I think The Fighter will receive a number of nominations. Wahlberg might just ride that wave to a nomination. I wouldn't count out Leonardo DiCaprio for Inception though. Upon second viewing of that film, I was absolutely blown away by his performance. He's truly excellent in it. Also, Javier Barden is supposed to be excellent in Biutiful. Also, is Carlos eligible for Oscars? If so, Edgar Ramirez gives one of the best performances I've ever seen in that film. It probably won't happen, but his performance is at least worth mentioning. So if I'm forced to predict at this point, the five will be: Firth, Franco, Eisenberg, Gosling and Duvall--or Firth, Franco, Eisenberg, Wahlberg and Duvall--or Firth, Franco, Eisenberg, Wahlberg and Gosling. Gahhhh!!!! This is so hard. All right, the first grouping. That's my choice and I'm sticking to it. As for who deserves the Oscar, and keeping in mind that I haven't seen Blue Valentine or Get Low yet, I think Franco gives the best performance of the year. Firth is great, and he will probably win it, but like Dustin Hoffman in Rain Man, I'm not easily won over by a performance that relies on an acting crutch like autism or a stutter. Again, though, between A Single Man and The King's Speech, Firth has firmly established himself among the best actors out there, so I wouldn't be surprised to see him nominated often in the future. Franco is so good in such an off-beat film. His hosting gig and his still growing reputation as an actor will probably work against him. I think Eisenberg is amazing in The Social Network, and I'm thrilled that he's been gaining awards momentum. I was afraid that people would write him off because they think he can only play one type of role. Eisenberg's performance is one that could have been gimmicky or relying on a crutch since his character is so socially awkward, but he's perfect at delivering Sorkin's tricky dialogue. He's one of my favorite actors out there. If he wins, I'd be perfectly fine with that. I wouldn't count him out since he's won a number of critics awards, but I don't think a win for him is likely. This is Firth's award. I already mentioned Ramirez in Carlos, but there are two other excellent performances that definitely won't be nominated that I think are good enough to be mentioned. Ben Stiller plays Greenberg with such truth, and he doesn't fall into the trap that so many comic actors do when playing dramatic roles by underplaying everything to appear more serious. It's a tricky character, and Stiller brings to it all the nuance that's necessary. He's surprisingly touching and reviling at the same time. I'd also like to point out Casey Affleck in Michael Winterbottom's film The Killer Inside Me. He plays a cop who leads a double life as a brutal serial killer. The film is graphically violent and ultimately sloppy, but Affleck is terrifying because he's so convincing as the boy next door type when he's not giving into his inner demons. He's one of the best actors working today. I'm going to make a proclamation right now that Christian Bale WILL be walking home with the Supporting Actor Oscar for The Fighter. It's the archetypal Oscar performance. He's truly is the best thing about The Fighter. He's also one of those actors known for having more potential than maybe anyone else out there. I think Geoffrey Rush is just as good, if not even a little bit better in The King's Speech. I loved the humanity and humor that he brought to his role. He and HB Carter both bring the lightness and accessibility that makes The King's Speech more than another stuffy British drawing room costume picture. I think Ruffalo gives a career best performance in The Kids Are All Right. He'll be nominated for sure, and he'll have to be happy with that because he won't win. His performance, though, really cemented him as one of the best actors working today in my book. I still believe Andrew Garfield will be recognized for his work in The Social Network, despite his distracting accent problems. He's excellent in Never Let Me Go, so I'm on board with giving him some recognition even if his performance didn't completely work for me in TSN. I think the fifth spot is pretty open. Jeremy Renner might be nominated for The Town. He's good in that, and he's certainly one of the up and coming stars. Good will for his turn in Hurt Locker might help him sneak in. I'd like to see the rest of the buzzed about films to see if someone not on my radar screen might be worth considering. At this point, I think I'll lean toward that fifth spot being inhabited by a performance I have seen--John Hawkes for his great work in Winter's Bone as Teardrop. He's so frightening at first, which makes his ultimate virtue so surprising. Cassel from Black Swan might sneak in there, but I'm rooting against it. I doubt Michael Douglas will be nominated for the stupid Wall Street 2, but he's good in it and he certainly has the good will of the voters on his side. If there's going to be a surprise nominee anywhere, I think it'll be in this category. I'll never forget how floored I was that Michael Shannon was nominated for Revolutionary Road a few years ago. I didn't even know who he was and who he played when I first heard his name announced and I had seen Revolutionary Road at the time. Could certainly happen again this year. If guessing at the winner of Best Actress wasn’t hard enough, I have to decide on my personal favorite! Annette Bening in The Kids Are All Right and Natalie Portman in Black Swan both have my two-way vote for performance of the year. Likewise, I can’t fully pick which of the two gets the Oscar in February. Both are giving supposedly “career-best” work and have had impressive longevity in Hollywood. Of course, Bening has more seniority than Portman, but Portman has the film with broader support and more citations from critics groups. I’d have to side with Portman for the win because she has the flashier performance, and sometimes flashier equates to better in the minds of Oscar voters. Then again, voters might be highly impressed with Bening’s subtle performance. More often than not, it seems that she’s giving bombastic performances in very diva-like roles, but her work as Nic in Kids is a far cry from that kind of role. She’s essentially playing against type, which could give her a boost. As for the men this year in the Lead Actor race, I’m sorry to say it, but Carlos isn’t eligible for Oscar consideration. I believe it played on VOD before hitting theaters, and it’s been thus far recognized as a television miniseries. Though the Emmy Awards aren’t as esteemed as the Oscars, it’s very likely get some love there. Colin Firth and Jesse Eisenberg are definitely in, and James Franco is essentially a lock, though not as cemented in the top five as Firth and Eisenberg. Firth is the easy front-runner to win, and the only possibility for an upset would probably be Eisenberg, though it’s quite a stretch to say that anyone could beat Firth. If The Social Network will be as big of a hit with the Academy as we’re assuming it will be – and there’s no reason to think otherwise – won’t they want to shower it with awards? The Hurt Locker nabbed six trophies last year, and Slumdog Millionaire won eight the year prior. This isn’t really much of an “artistic” film in terms of technical achievement, so would the Academy give its leading man the gold to bump up the film’s number of wins? I honestly don’t think that there’s a whole lot of room for that to happen, but if he upsets for SAG, he’s a major threat for the win. After that, it gets kind of tricky. The three aforementioned men got in with SAG and the Hollywood Foreign Press Association. Jeff Bridges and Robert Duvall got in for SAG, while Ryan Gosling and Mark Wahlberg made the cut at the Globes. So, who gets in? From the way it looks right now, Ryan Gosling is probably the most likely of the four to get in. Though SAG snubbed him, Blue Valentine is a highly acclaimed film; the lauding in particular is for the work done by Gosling and co-lead Michelle Williams. I’m calling the latter for an Actress nomination, and for some odd reason, I can’t see voters listing Williams as their top Actress choice without doing the same for Gosling in the category’s male counterpart. Of course, that leaves one open spot. So is it Bridges, Duvall, or Wahlberg? The least likely of these men to get in is probably Wahlberg. Though The Fighter did great in the Golden Globe nominations tally – five nods outside of Wahlberg’s – those nominations were announced before the film had a wide release. Voters were probably counting on it being a huge hit, and with A-list star and terrific marketing, not to mention a genre that tends to do well at the box office, it should have been one. The Fighter’s done admirable business so far, but it hasn’t done impressive business. Plus he hasn’t had the success with the critics groups that his co-stars have. The lack of Golden Globe nominations for True Grit might be telling, even though I don’t want to give too much credit to this group that infamously gave an award to Pia Zadora over Kathleen Turner, not to mention nominated Tim Burton’s Alice in Wonderland for any kind of honor, but this is a precursor group. When True Grit got a complete shut out, many argued that the Hollywood Foreign Press Association doesn’t like the Coen Brothers. If that’s the case, why did this group nominate award Javier Bardem for his work No Country for Old Men and nominate the film for Motion Picture Drama in 2007? Furthermore, why did they nominate Burn After Reading for two awards in 2008 and throw A Serious Man’s Michael Stuhlbarg a nomination last year? Again, the Golden Globes aren’t the be-all and end-all of, well, anything, but not making the cut there could be indicative of True Grit having less Oscar success than many are expecting. That being said, I can’t see the film getting in for any of the big awards save for Adapted Screenplay and maybe Actor. And what are we to make of Robert Duvall? For the majority of the season – even extending into the pre-season, he’s been an assumed Actor nominee for apparently career-best work in Get Low, but where did that buzz go? No big critics honors, no Golden Globe nomination, not even a mention from Indie Spirits. Virtually nothing to go on outside of that SAG nod that likely came from being a veteran actor. An Oscar bid is very possible, but I wouldn’t bank on it. But who’s to say that Bridges, Duvall, and Wahlberg are the only men in contention for that hypothetical fifth spot? Will the Academy throw us a curveball and nominate Javier Bardem for the foreign-language flick Biutiful? Could Leonardo DiCaprio make the cut for one of his superb leading performances? While I’m at it, will Aaron Eckhart be nominated alongside his onscreen wife Nicole Kidman for Rabbit Hole? Heaven forbid that I’m missing another possibility! Though I wouldn’t count on it, there is room in the race one of these left-field contenders to make the cut. DiCaprio obviously has the most Oscar-bound film among these potential curveballs with Inception, and he’s great in it, but it’s not an actor’s piece like Biutiful and Rabbit Hole. In regards to how the Academy will vote in Supporting Actor, Christian Bale is the no-brainer to win. Mark Ruffalo, despite being ignored by the Globes, was recognized by the Screen Actors Guild and won the crucial New York Film Critics Circle Award, so he’s definitely in and the most likely to surprise with a win. Then again, does Bale really have any competition? The third wheel in the race is probably Geoffrey Rush. He’s assured a nomination, but I see no possibility for an upset from him whatsoever. He’s already won before, is in a subtle role, and starred in that massive flop The Warrior’s Way just recently. Next in line might be Andrew Garfield for The Social Network. There is a whole lot of buzz attached to him right now (next Peter Parker), and as was said earlier, the Academy won’t hold back when it comes to nominating and awarding this film. The last spot (like in Supporting Actress… and Actress) is up in the air from where I’m sitting. Jeremy Renner is in my lineup for now at number five, but something about predicting him just feels strange, even though the Golden Globes and SAG embraced him with nomination love. Checking out the other possible contenders, a nomination for Michael Douglas in Wall Street: Money Never Sleeps wouldn’t receive a warm welcome from me, but sympathy often turns into accolades in Hollywood, as was evidenced by his Golden Globe nod. There’s also John Hawkes for Winter’s Bone, who gives a great supporting performance and surprised us with a SAG nomination. There’s more support for that film than Money Never Sleeps; then again, John Hawkes isn’t Michael Douglas. Brian, I definitely think that there could be a shocker nominee here, but I’m most expecting a jaw-dropping nod in the Supporting Actress race a la Maggie Gyllenhaal last year, though some people called that nod. But back to Supporting Actor. Of those who didn’t receive a nomination from either the HFPA or SAG, I’d guess Vincent Cassel in the place of Jeremy Renner. As for my personal opinions on the male performances this year, Jesse Eisenberg’s leading work in The Social Network is my absolute favorite male performance of the year. It might not be the best representation of Mark Zuckerberg himself, but it’s a perfect realization of the narcissistic and sociopathic Mark Zuckerberg that Aaron Sorkin intended for the film. I also took very well to Leonardo DiCaprio’s performances this year in Inception and Shutter Island. I’d give him more credit for the former since there’s more of a reveal with that one as opposed to him simply going crazy, but both are fine showcases of immense acting talent. I haven’t seen The King’s Speech just yet, so I can’t comment on Colin Firth’s lauded performance, but at long last, I’ve found someone who agrees with me about Dustin Hoffman in Rain Man! On that note, if Firth’s work is similar to Hoffman’s Rain Man, then I doubt that I’ll really care for it. I have yet to see James Franco in 127 Hours since the film didn’t open anywhere near me. I’m perhaps more interested, however, in seeing his acclaimed work in the less-than-acclaimed Howl. I’m sure he’s great in both and really curious to see each film. On the supporting side, I’d say that Christian Bale and (sorry, Brian) Vincent Cassel are probably my two favorites this year. The former, as was mentioned earlier, is the definitive “Oscar role.” Druggie? Check. Big outbursts? Check. Stealing scenes? You’ve got it! Cassel, like the other supporting players, has to play into an essence of a character and a fantastical illusion of himself. It also goes without saying that Robert Downey, Jr. gave one of my favorite male performances this year in Iron Man 2. It’s technically as strong as his work in the first film – blame the script – and the film itself is more of an Avengers commercial than anything, but I appreciated his way of developing the character. Much to my surprise, an actor who I think deserved more recognition this year is Zach Galifianakis. He was absolutely hysterical in Due Date and really outshined Downey – something you’ll almost never hear me say about any performance. But it was his supporting work in the indie dramedy It’s Kind of a Funny Story that really impressed me. Not only did he prove his ability to play someone other than The Hangover’s Alan; he handled his character with a more subtle sense of humor and expertly navigated through some difficult dramatic material. That being said, who are some other actors that didn’t get enough credit this year? Vincent Cassel has been brought up so many times throughout our discussion it made my head spin. I don't get all the raves. He was just another prop to me. Renner is far more compelling in The Town, than Cassel in Black Swan to me. And Annette Bening--who I really respect in the industry--has really played the annoyed and stuffy housewife role much of her career (brilliantly, might I add, but predictably). I much preferred her in Mother in Child (though I wouldn't be mad if she got nominated for Kids instead). It doesn't look like we're getting much love for Julianne Moore, huh? Always a nominee, never a winner? My vote is still for Kerry Washington in Mother in Child but, if I had to choose between the mainstream favorites, I'd go with either Melissa Leo or Julianne Moore (leaning more toward Moore though). I'd agree with both Julian and Brian about using disabilities as a crutch one account only: it's so predictably, formulaic Oscar. But this is kind of why I was asking about wild cards before. This however doesn't take away from their talent, just kind of makes it more of a snoozefest for me. It looks like Firth will get a nod, but I'd actually like to see someone who played a character without a crutch get some recognition. This brings me to Mark Ruffalo. It's funny how you both mention his performance in The Kids Are All Right, but not his far more compelling performance in Shutter Island. I enjoyed both films, but I enjoyed Ruffalo better in SI. Yes, he was the quintessential hippie, California guy in Kids, but that was all that was striking about that performance to me. It was effortless, but does it really take that much effort for the role? I don't know, but I thought the most compelling aspect of Kids was the relationship the parents had with each other, and their separate relationships with their kids. Ruffalo was a mere peg in their game to me. I really respect Mark Wahlberg. I think his longevity in the industry says a lot about him, but he has yet to show me an Oscar-worthy performance. I actually thought The Fighter was one of his weaker performances to date. At times, he seemed almost lost in the film as everyone around him controlled the ship. I know that was also in part to a character trait, but I also felt no empathy for his character either, which is a problem for me. Speaking of Jeff Bridges in True Grit, it's very rare that the academy recognizes the same character twice in a film. But this may in fact be a wild card for them. I'm a huge fan of Matt Damon's and wouldn't mind him getting some love from the academy as well. His time to win an Oscar for his superb acting is far overdue. I actually wouldn't mind Franco taking home the Oscar that evening (if it can't be one of my personal favorites). His performance is very quirky and solid, and one I wouldn't ordinarily like. I always think solo performance movies lose my interest after a while. Granted, 127 Hours lulled at points to me, but there is no denying Franco's exquisite performance. 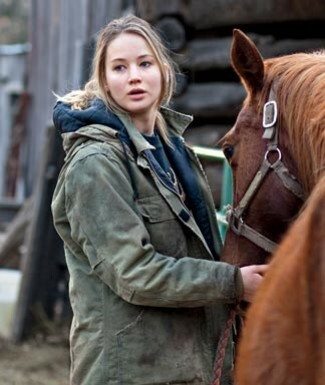 Good thing Winter's Bone had good performances because I did not feel the level of respect on the movie as a whole as many other people did. The story wasn't riveting at all to me, but the performances helped that a bit. Eisenberg was really good in The Social Network. But I will say that his performance was the compilation of all other Eisenberg performances you've seen before, just escalate to fit this caricature of a character. Done well, might I add. But I was expecting him to do that performance, just like that. I also didn't get the same impact from Rooney Mara as you guys did. To me, she was the catalyst for the film, but not so much the heartbeat of it. I'd love to see Gosling and Williams get their second Oscar nominations of their career for their performances in Blue Valentine. I can honestly say these two actors never cease to surprise me. They don't have a signature anything, but you just know that their performances, if anything, are going to be good. I can appreciate that about them. I wasn't a fan of Greenberg like it seems like you all were. I was actually annoyed by it. But i will agree that Gerwig was probably the only reason I didn't give up on it completely. She was solid in the role, but just not really memorable or impact for me. On that same token Rebecca Hall, as you pointed out, Brian, was fantastic in Please Give, as was Catherine Keener for that matter. I am more inclined to say that Hall had the more engaging performance for me. It was her trademark mousy performance, but it worked so well for that character. Hall also gave one of the best lines in The Town to me, but I didn't really like her performance in it. I thought she was underplaying it a lot. I like Robert Downey, Jr.--a lot. But he didn't give me anything to swoon over this year (same goes for Michael Douglas). And Galfianikis, eh, he needs a new shtick to me. Something...better. Ugh! Brian, you hit on my nightmare Oscar scenario, Michael Douglas getting Best Supporting Actor for Wall Street 2 because he almost died in real life. His Gordon Gekko redux was a solid turn but the film is so weak that it drowns all three leads. Oliver Stone is part of the trend I mentioned earlier about directors going mainstream only Stone's compromises ruined his film while The Fighter, True Grit and Rabbit Hole somehow turned out really well despite the compromises. Part of my problem with Wall Street: Money Never Sleeps was my personal expectations. When I heard Oliver Stone was going back to Wall Street at the height of the real life crisis where Wall Street had completely screwed the American people I was excited and was eagerly awaiting the legendary left wing director to get in a few good licks against the greedy pigs who tanked the economy. Instead, what we get in Wall Street 2 is a watered down version of the first film with Shia Le Beouf doing a weak spin on Charlie Sheen's Bud Fox (Sheen's cameo, an entirely different letdown in the same film). Dipping into this Best Actor talk, I know Ben Stiller will not be nominated for Greenberg but I want to raise it just so Candice can give us the assessment of Greenberg she has teased so often on Twitter :). Colin Firth is the front runner. The performance is safe and predictable, compelling but not new; just the kind of old school stuffiness that the old farts in the Academy love. Plus, after losing out for his more aggressively interesting performance in A Single Man last year First is due. Jeff Bridges will be nominated and like Firth, it's the kind of performance that Academy oldsters really like. Mark Wahlberg is out for The Fighter because Bale, Adams and Leo sucked all the air out of the movie and suffocated his performance. Compared to all the colorful people around him Wahlberg's lead was a cypher left only to react to them. James Franco deserves the win here because his performance was so tough and yet so skilled and nuanced. So, if Firth, Bridges and Franco are in that leaves two spots. One goes to Jesse Eisenberg for a complex turn that he makes look effortless. It's not easy to play a robot especially a human robot but Eisenberg nails it and in the end brings the melancholy in the saddest and most unexpected way, I've never felt so sorry for a refresh button. Robert Duvall deserves the other slot because in a career of amazing performances his work in Get Low may be his best ever. Yes, much of the appeal of Duvall's performance hinges on a big showy speech but it's one hell of a speech and he knocks it out of the park. That speech in Get Low ranks right up there with Bening singing Joni Mitchell as one of my favorites of the year. Ryan Gosling is a potential spoiler for Blue Valentine but I think Michelle Williams stole that movie from him. Gosling is good but she is so much better that he kind of gets overshadowed. Leo DiCaprio was mentioned but for which movie? I was not a fan of Shutter Island a shockingly predictable thriller that marked Martin Scorsese finally showing his age after a series of brilliant films but the studio push for DiCaprio in Shutter Island is strong. I received multiple mailings and emails from the studio touting Shutter Island. The Inception campaign seems focused solely on the Best Picture pitch and not so much on the acting. If I may digress for a moment however, I would like to join the Marion Cotillard love-fest, she was amazing in Inception, the soul of the film really. Back to the actors, watch out for Ben Affleck in The Town an old school thriller, solid pedgree, good box office and Affleck is a good comeback story. My guess is that The Town is going to surprise people with a Best Picture nomination and if the momentum is strong Affleck pulls the upset nomination for Best Actor as a consolation prize for not getting a director nod. Best Supporting Actor has basically been awarded to Christian Bale but there is still room to speculate on Geoffrey Rush who gives the more interesting performance in The King's Speech. There is an odd similarity really between the supporing players in The Fighter and in The King's Speech. In both films the supporting players are so colorful, unique and interesting that the leads fall into the shadow. That took the impact of both films down a peg for me because I wasn't as interested in Wahlberg in The Fighter or Firth in The King's Speech. The final moments of both lacked power because they stepped out of the shadow of the stronger performances and it was too late for me to really care more about them. Unlike Jesse Eisenberg in The Social Network who rises above a great ensemble or Jeff Bridges who rises to the challenge of two stellar supporting performances, Firth and Wahlberg melt against the much stronger supporting players. Julian, you mentioned Galifianakis in Due Date but do not forget his work in It's Kind of a Funny Story. That film was sadly missed at the box office but it is a really heartfelt performance in a wonderfully quirky film. You're absolutely right though about Galifiankakis outshining Downey Jr, not an easy task. Due Date was one of the few good comedies in a dismal year for laughs at the box office. Mark Ruffalo deserves to win, in my opinion, for The Kids Are All Right, such a great, nuanced performance. Ruffalo is so subtle in the way he evolves that character throughout that film that it's not till everything has become a mess that you realize how far he has come. I need to watch The Kids Are All Right again, a colleague and friend of mine just named it number one in her year end movie column and in the days we've been doing our blogathon Kids has recurred for me multiple times. It is an absolute crime that Armie Hammer has not been honored for his work in The Social Network. It's not merely the challenge of playing twins but the brilliant ways he gave both Winkevoss's a life force of their own. I liked what Andrew Garfield did as Eduardo but Hammer's was the supporting performance in that film that stuck with me. There is another whole lengthy subtext in Armie Hammer's performance and the complexity of what the Winklevoss's stand for in The Social Network. I won't dig into it here as it might require a sixth viewing of The Social Network to nail it down but it's there and it's in Armie Hammer's performance as much as in Andrew Sorkin's script. Matt Damon in True Grit is phenomenal in a showy performance. I love Damon when he is in character actor mode even more than I love him as a leading man. Damon finds so many interesting beats to play, his work rewards repeat viewers who find new things about his work each time. I have no doubt that if I watched True Grit I would find something I missed the first time in the way Damon played Le Beof. Jeremy Renner does something similar to Damon in The Town, a showy performance but with nuance and layers. Jem has an inner life that he only hints at, it's hidden behind his almost constant rage. As Renner transitions from ensemble lead to top supporting player and finally to fully fledged leading man we are going to see some unbelievable work.